Travel & Things...with David Batzofin: Memories were only a bus ride away. Memories were only a bus ride away. This posting is dedicated to my wonderful daughter Jayne. in order to join her in celebrating her 30th birthday. but I felt that it was apt that she hold it. At not one hotel, but two! We admired the fortitude of the trees on the Atlantic seaboard. They are able to bend with the wind and not break. One of the towns I passed through. 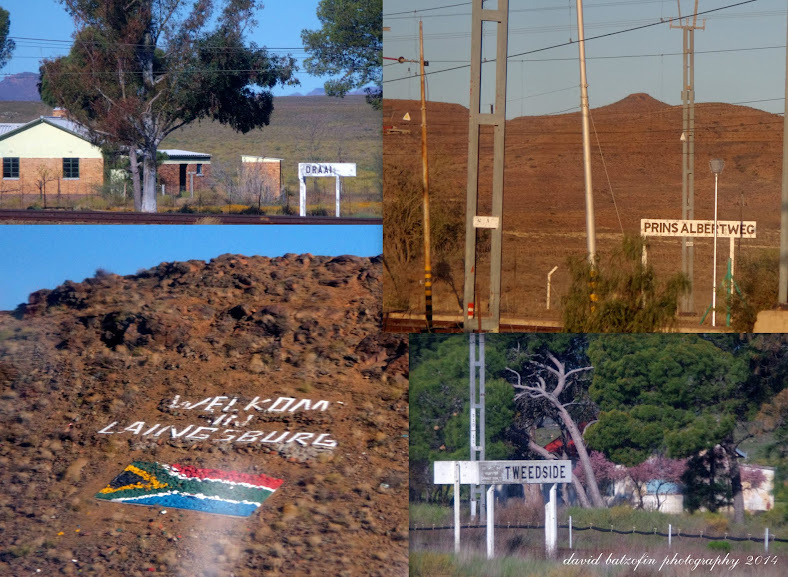 I think it was Beaufort West. On January 25, 1981 it became the scene of South Africa's biggest natural disaster to date. We discovered this in the wardrobe at the Cape Milner Hotel. for organizing this special breakfast treat. We went on a walk through Kalk Bay. I found this in one of the antique shops that is attached to a restaurant. Either way, we did not use their "facility". And to think that this used to be on every dressing table. Right next door is this very colourful and quirky nursery. Jayne took me to walk in the Newlands Forest. A beautiful green lung area that we sadly lack in Johannesburg. She also wanted to climb Table Mountain. and we only had time to scale Lions Head. And almost to the summit...but we got close. This was our view out over Sea Point. We tried to figure out why this part of the mountain has barbed wire fences. On the bus trip back to Johannesburg. Got to love the way the locals build. Difficult to capture through the tinted window of a moving bus. I would not have missed it for the world! Jayne came to my 60th, and perhaps, I might even make it to hers. But for now I am so blessed and grateful to have spent this very special occasion with her. the recently refurbished Cape Milner Hotel. the eclectic Pepper Club in Loop Street. Thanks for two days of car hire.